NEW FOR 2019: If you are interested in online, rather than classroom training, we now offer online training courses with our partner skippersonline.net, Please click here for more details. The Club offers a variety of classroom RYA training courses throughout the year, which take place at our Clubhouse in Conwy. Our rates are very competitive and typically lower than all other training schools in the area. We provide shore-based classroom courses to Yachtmaster™ Offshore level and also offer the International Certificate for Operators of Pleasure Craft (also knows as the International Certificate of Competence or ICC). 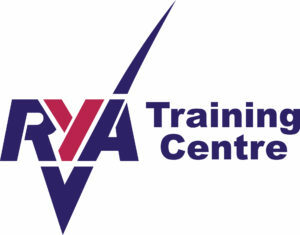 We also offer the very popular RYA Essential Navigation and Seamanship course and many other short courses. We organise training on demand, so to get in touch to discuss when you would like to take a course, logged in members can contact our chief instructor here: [Please log in to access this link], otherwise please email [email protected]. We regularly update our training schedule, so please check back – the most up to date schedule is always listed at the bottom of this page and on the events page. The course offers a great introduction to navigation and safety awareness for new or inexperienced skippers and crew, and those wanting to refresh their skills. In fact it’s for anyone interested in sailing, motor boating, sea angling or diving, and works well in complementing on-the-water training, such as the Powerboat Level 2, Start Yachting and Helmsman courses. The ICC is a certificate which is intended to provide evidence of competence when requested by officials in foreign countries. It is commonly known as the International Certificate of Competence. An ICC is an assurance from one government to another that the certificate holder is sufficiently competent to be driving a pleasure craft, despite not holding the visited country’s national certificate. We will be offering the ICC course, including issue of the certificate for those who reach the requisite standard. The course will be a one-day on-the-water programme, on a boat provided by the student. The course is designed to cover all the theory needed to navigate a yacht safely in less demanding situations. It is an ideal starting point for crew members, wives and partners who do not normally sail or navigate. The course is both interesting and enjoyable. The course is a more advanced study of navigation and meteorology designed to cope with the more complex elements of making offshore passages and piloting a yacht safely using the weather to best advantage. The course is interesting, enjoyable and achievable. Students should either have already completed the RYA Dayskipper theory course or have good prior yachting experience. A sound knowledge is required of the International Regulations For The Prevention Of Collision At Sea and VHF operating procedures. The course is essential for yacht owners who do not know what makes their engine tick. It looks at how it works, fuel injectors and filters, water pumps and trouble shooting when the engine will not work. Practical hands on an engine is part of the training. The course covers all aspects of operating VHF Radios effectively including the Global Maritime Distress Safety System and Digital Selective Calling. Successful completion of the course results in the issue of a VHF operators license. Students must know the phonetic alphabet prior to the course start and bring a passport photograph with them. The course provides the basic information needed to deal with emergencies in a watersports environment. Sessions include dealing with personal safety, resuscitation, bleeding, broken bones and casualty management. Some practical scenarios will be covered. The course gives a full grounding in the use of radar on pleasure vessels, including the basics of how radar works and its limitations, the various controls on a typical radar set, adjustments and tuning, and how to use radar effectively for target identification and collision avoidance. To enquire about a course or find out more, please email [email protected] or fill in the form below.